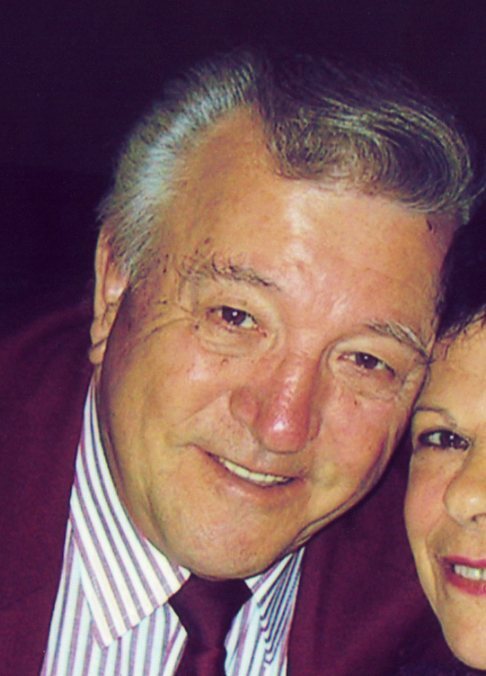 Larry J. Hamm, 87, of Brackenridge, passed away Saturday, March 30, 2019 at the Good Samaritan Hospice Unit at Concordia, Cabot. He was born August 24, 1931, in New Bethlehem to the late Harry and Mary Sanders Hamm. Larry was a 1949 graduate of Vandergrift High School. He was a veteran of the Korean War serving in the US Army. Larry retired as a tool and die press operator from Oberg Industries in Buffalo Township. He attend Most Blessed Sacrament Church in Natrona Heights. Larry was a life member of Pioneer Hose Company, the Oregon Club and the American Legion Post 226 all in Brackenridge. He enjoyed golfing and was a dedicated contributor to his fellow veterans. Larry is survived by his wife of 53 years. Toni (Corso) Hamm; daughters, Carla (Gene) Bussotti, of Fawn Township, Yvonne Hamm, of Brackenridge and Yvette (Pete) Grandillo, of Pittsburgh; sister, Barbara (Bud) Fresch, of Texas, brother-in-law, Angelo (Elda) Corso, of Natrona Heights, sisters-in-law, Mary Corso, of Natrona Heights and Vinnie Corso, of Tarentum; and also by several nieces and nephews. In addition to his parents, he was preceded in death by his brothers, John and Billy Joe Hamm; brother-in-laws, Domenic, Mario and Frank (Audrey) Corso; and sister-in-law, Grace (Bob) Vicker. Relatives and friends are invited to attend a blessing service on Monday at 12:30 p.m. in the Cicholski-Zidek Funeral Home, Inc., 1522 Carlisle St., Natrona Heights 724-224-8688. Officiating will be the Rev. Aaron Kriss. Burial with full military honor's accorded by the Vandergrift Veterans Honor Guard will be in Mt. Airy Cemetery, Natrona Heights. In lieu of flowers, contributions in memory of Larry may be made to the H.J. Heinz Progressive Care Center, Attn: Mary Connell, 1010 Delafield Avenue, Pittsburgh, Pa. 15215. To send an online condolence please visit www.cicholski-zidekfh.com.